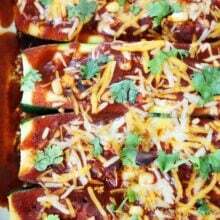 Black Bean and Quinoa Enchilada Zucchini Boats-if you like enchiladas, you will LOVE this healthy zucchini version. It is one of our family’s favorite meals. 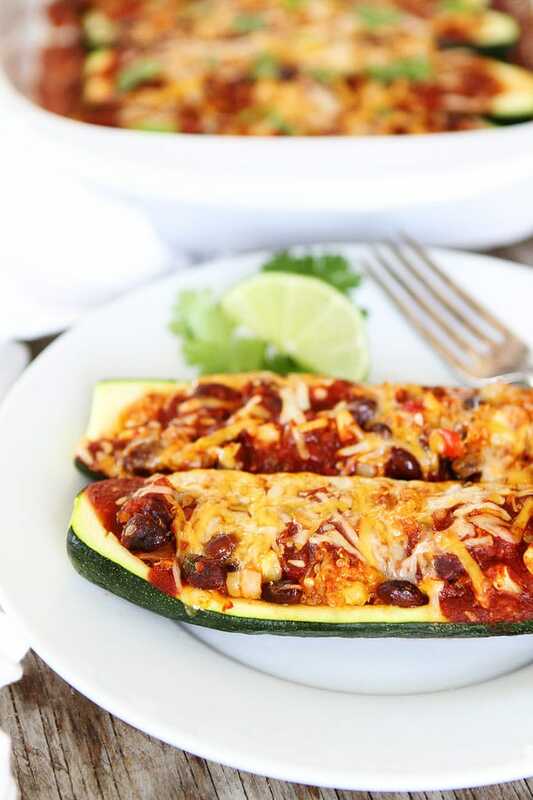 Stop what you are doing, grab your pile of zucchini, and make these Black Bean and Quinoa Enchilada Zucchini Boats. I made these zucchini boats for dinner last week and they were a home run. All of my boys devoured the boats. Josh loves enchiladas, so I knew he would love them, but I was a little worried about the younger boys. You never know what they will eat. Well, I told them they were enchilada zucchini BOATS and they immediately dug in. Of course, they started pretending that their boats were racing and that they were going fishing, but that didn’t bug me. I love their little imaginations and I loved that they were eating a healthy, vegetable loaded dinner without whining. SCORE! I love this recipe because it uses up a ton of zucchini. I used seven medium zucchini to make two 9×13 pans. You may think that sounds like a lot, but trust me, you are going to want a lot of this dish. It is SO good. If you don’t need a lot, you can halve the recipe, but I highly recommend making the whole recipe. You can eat leftovers, freeze a pan, or give a pan to a friend. I gave one pan to my friend and she text me that night to tell me that her kids LOVED the recipe. YAY! 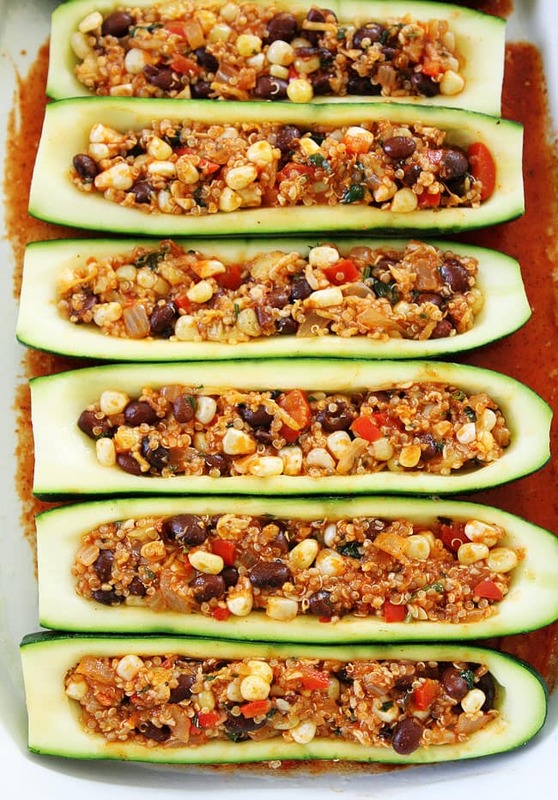 To make the zucchini boats, you hollow out the zucchini and stuff them with a tasty black bean and quinoa mixture. Add enchilada sauce, shredded cheese, and bake until bubbly! Remove from the oven and DIVE in! You will be instantly blown away by the deliciousness. This recipe reminds me of our Black Bean and Quinoa Enchilada Bake, which is the most popular recipe on our site, so if you love that one, I bet you will love this one too! 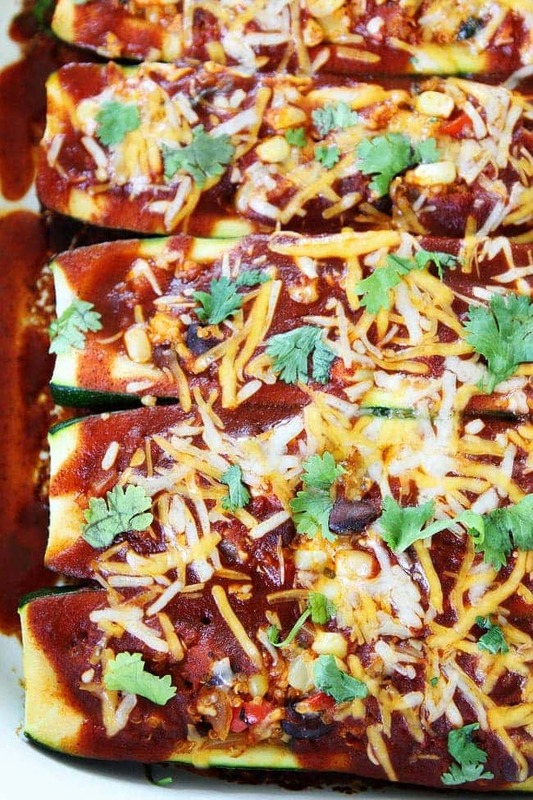 Put Black Bean and Quinoa Enchilada Zucchini Boats on your dinner menu ASAP. This recipe perfect for zucchini season and sure to become a family favorite. 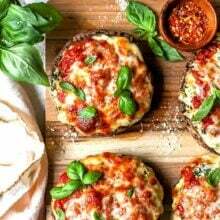 If you are looking for more zucchini recipes, check out our favorite zucchini recipes here. 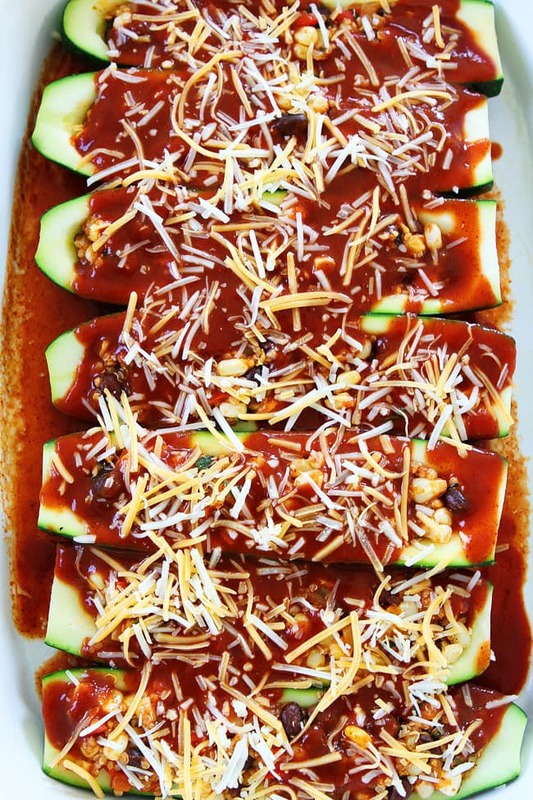 These easy enchilada zucchini boats are guaranteed to be a family favorite meal! Add them to your dinner menu ASAP! Using a small spoon, hollow out the center of the zucchini halves, leaving 1/4-inch thick shell on each half. Chop the scooped out zucchini flesh and set aside 1 cup to use in the filling. Drop zucchini halves in boiling water and cook 1 minute. Remove from water and set aside. In a large skillet, heat the olive oil over medium-high heat. Add the onion and cook until translucent, about 4-5 minutes. Squeeze the 1 cup of zucchini filling in a paper towel to remove excess moisture. 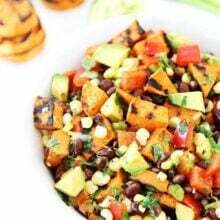 Stir in the zucchini, garlic, red pepper, corn, chili powder, cumin, lime juice, and cilantro. Cook for 2-3 minutes. Remove from heat and stir in the black beans and quinoa. Season with salt and black pepper, to taste. Stir in 1/2 cup of the shredded cheese and 1/2 cup of the enchilada sauce. Spray two 9x13 baking dishes with nonstick cooking spray. Drizzle a little bit of the enchilada sauce at the bottom of each pan. Place the hollowed out zucchini cut side up in the dish. 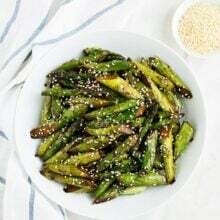 Using a spoon, fill the zucchini equally with the black bean and quinoa filling, pressing firmly so it stays in the zucchini. 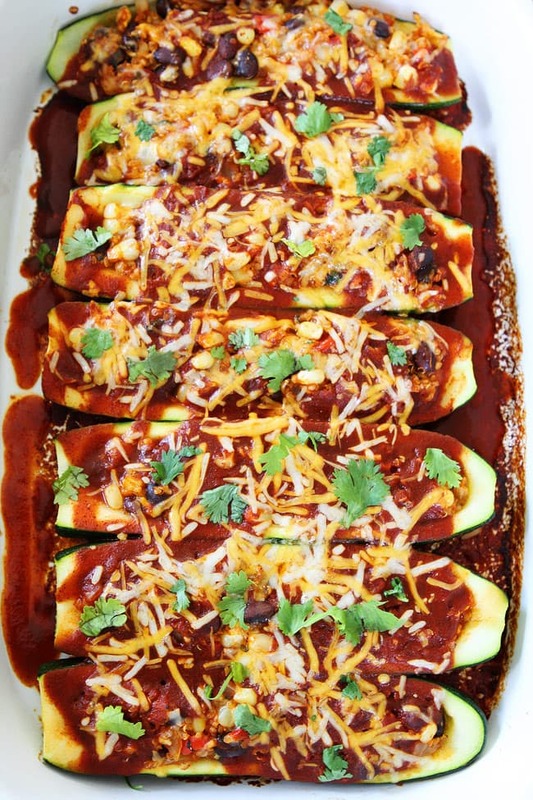 Drizzle the remaining enchilada sauce over the filled zucchini. Sprinkle the remaining cheese evenly over the top. Cover with foil and bake for 30 minutes. Remove the foil and bake for 5 more minutes or until cheese is melted and zucchini is cooked through. Serve warm. Note-you can halve this recipe. This recipe reheats and freezes well. Just looking at them makes me hungry! Really yummy! Such a great family meal! What a great vegetarian dinner!! 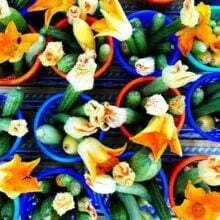 Just another reason to hop on board with the zucchini trend!! So good! There has been so much great zucchini this year! This will be perfect for me to use up what I have left! I would like to add this dish in my meal, because of so attractive look and it must be a tasty one. 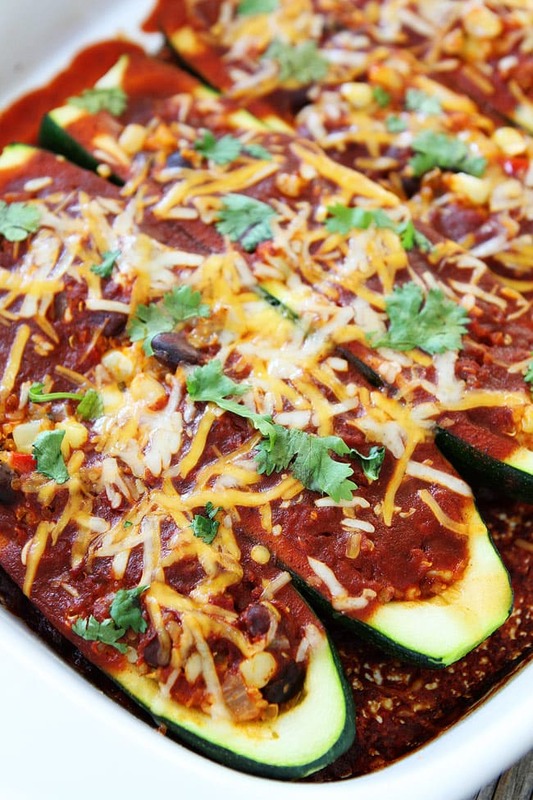 Quinoa Enchilada Zucchini looking delicious !! I can’t wait to make it now. Hi! If I’m going to freeze this should I cook it first and then freeze or freeze it uncooked? Going to try this tonight, yet I have one question, will this work with yellow squash? I”m going to try both, yet I have more yellow squash than green. Sure, you can use yellow squash. Enjoy! Awesome Information sharing .. I am extremely cheerful to peruse this article .. much obliged for giving us experience info.